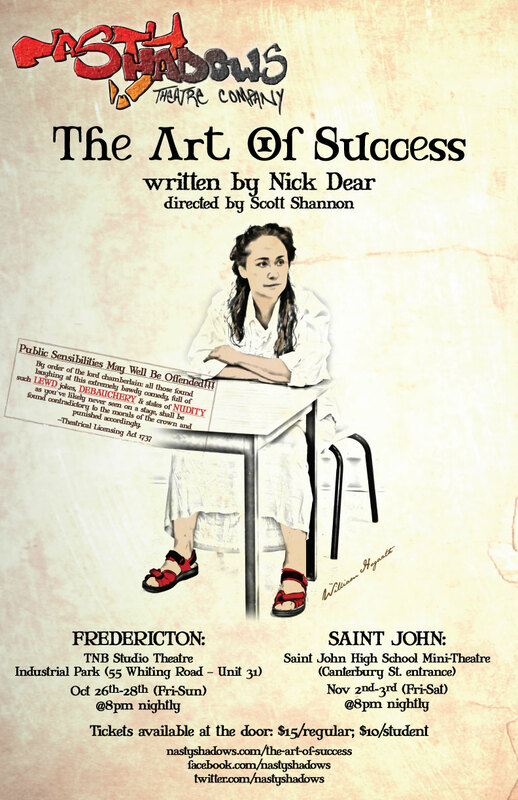 Art Success | Nasty Shadows Theatre Co.
Having returned from a theatrical hiatus, I wanted to simply wrap up this show’s lingering open notes section. This play is a great exercise for me as a director in terms of managing my attention on so many things. There are 10 actors in the show, and while so far we’ve had only 5-6 at most on stage at once, that is a considerable amount of potential action to attend to and soak in. Soon all 10 will be on the floor at once. For the Nasty Shadow world these are large groups of actors and require a refining of my approach and where to spend my attention. I am also working with a number of people who are new to me so I have been trying to absorb the performances these new actors perhaps more because I have to establish a trust in the room, and a communication about what we need from each other. So far things are going extremely well, I think … folks are getting off-book and that makes playing in the room so much easier … bravo and keep it up! We will be heading into October in excellent shape for our runs at the end of the month.